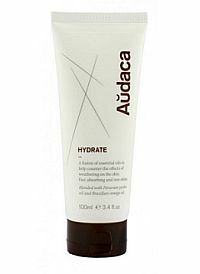 Audaca, a new brand out of the UK has formulated a group of products developed with essential oils and natural ingredients from around the world. The first item I tried is their moisturizer – Hydrate. Developed to deliver optimal hydration with the ingredients: Jojoba Seed oil, Brazilian Orange Peel Oil and Vitamin E.
What I noticed about this moisturizer is that it is amazingly fast-absorbing and leaves no shine, which is great for many of us who HATE the “shiny face“. My only hang-up is that since they focused so much on the natural ingredients they never added an essential oil for an attractive subtle fragrance. 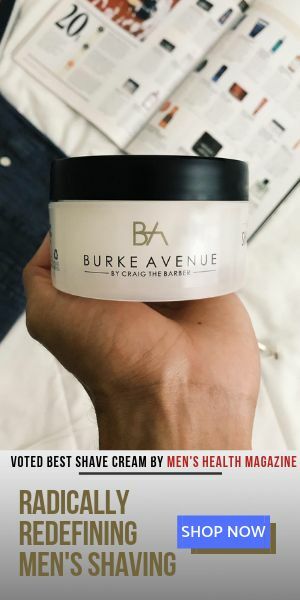 I noticed a slightly “chalky” scent that didn’t make it an absolute winner in my book; I might; however, have to chalk that one up to being a barber who trials just about every grooming product available, and as such have developed quite a sensitive nose. If you’re intrigued by the super-fast absorption and no-shine results claim, give it a try, it definitely delivers.